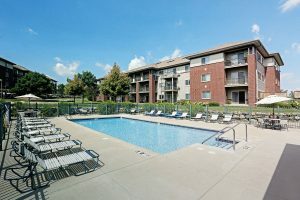 Since 1980, Regency Property Management has been renting quality apartments to tenants across south central Wisconsin. The attention to detail and care that we put into our investments is what sets us apart from other property management companies. We are serious about the little details – in the way we maintain our properties and in the way we take care of our tenants. Our goal is to be a leading management company in the areas we serve, and we work hard to achieve that goal. Regency Property Management believes in serving the communities we operate in. We have great rental apartments in Wisconsin capital region including in Madison, Verona, and Portage. Affordable luxury at Prairie Crest, in Verona. Downtown living in Madison at Courtyard. Quiet country living in Portage at Silver Lake Apartments. Our management team has years of experience in the industry, and we use that experience to produce better results for the tenants we serve. If you would like to know more about our company, or about our apartments, please contact a property manager directly and schedule an appointment to see what we have to offer. Our team is here to answer all of your questions and to help you find the perfect rental for your needs.